Back to my blog after a long time and I hope I can keep writing more regularly. Have repurposed my blog to extend beyond MDM and talk about technology and experience other than MDM as well. And first on that list is about my recent device KINDLE. Planned to start serious reading after a long time, so I wanted to start with a fresh mind and of course the latest technology. Last few years it has been mostly technical reading on either the Laptop or IPAD. So decided to get myself a Kindle as have been haring good things about it from my friends. While searching on internet to buy it, I realised there were multiple generations of Kindle and we are already in the 3rd generation. Oh I have already become ancient as have not got one yet :-(. There are multiple variations like Paperwhite, Voyage,Anti Glare etc and also available in various sizes. I was confused of what I needed. Went back to the basic question of what did I need. Answer to that was a simple device which could make reading easy by providing easy access to e-books, easy to carry around and the most important was access to reviews and suggestions on what should I read. One of the reasons why non-technical reading had reduced lately was because of not able to decide what to read. And sometimes when I did land up buying a book at airports or a book store it was more by instinct and lot of times left me disappointed. So the Kindle arrives after few days from Flipkart and day of arrival happens to be a Friday. Nice Saturday afternoon I sit down with a cup of Coffee post lunch. The first thing I realize that It is lighter than an IPad. Easy to carry around like a mobile. Awesome!!. Though screen touch and feel not as good as IPAD, but for book reading it is simple and serves the purpose. I realize the whole collection of e-Books that I can download. The fact that it gives you recommendation based on your earlier selection and reviews and rating is awesome. The reviews make the decision to read easier. The navigations and the menu are simple. Since the only purpose of Kindle is reading you are not diverted by things like games, adds and other apps in other devices. 4 weeks since I bought it and have downloaded and read some awesome books. My first Murakami book, Norwegian Wood which I probably would have not picked up otherwise, was excellent. Planning to read more of them. The current read is Elon Musk Biography. So all folks who do want to get back to serious reading and have been very busy, get a Kindle. This is from experience friends. 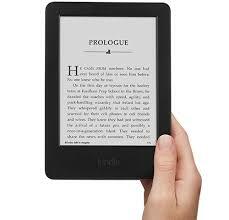 I guess one can also download the Kindle app on phones and other devices but nothing as good as the device itself. Hi Shweta, your blog is awesome it gives very much information regarding MDM.